We offer a tailor-made tours service to Groups and individual travellers. Whether you represent a humanitarian organization, sports team, retirement organisation, special interest group, fine arts society, church group or just a group of friends&family we will arrange a bespoke tour to satisfy your specific requirements. IDEE works with a variety of hotels ranging from deluxe-, hip-, boutique, eco-friendly, to family-run 3-4 star hotels in Turkey. Thanks to our high business volume, we are able to offer hotel accommodations at incredibly affordable rates that are hard to beat. We offer clients of the world’s leading cruise companies the most varied choice of shore excursions, turnaround services and pre and post programs. We coordinate and execute seamless land operations tailor-made to each cruise lines’ unique specifications. We give our clients a level of flexibility and certainty in both planning and operations, wherever in Turkey they may be. We make sure cruise passengers have a memorable and unique experience in Turkey. We provide Transportation Services for individuals and groups throughout Turkey. We cruise the Bosphorus and from the deck of our cruise boat take in the sights and sounds of this legendary waterway, that is lined with historic villages , grand wooden mansions, imposing fortresses, like Anadolu Hisari and the Baroque palaces of the late Ottoman sultans. After our cruise, we visit the Spice Bazaar, a thrilling riot of colors, sounds and the rich smells of exotic spices. Operated: Daily between 15 April-15 Nov. If you feel the need to escape from the bustle of Istanbul for a day, nothing could be easier. You simply join us aboard a ferry bound for the charming Princes’ Islands. Our destination is Büyükada, the largest of the island chain, but we will pass by four other islands on the way. All are famous for their mild climates, lush vegetation and ornate Ottoman houses, and on all of them cars are banned. The preferred means of transportation is the charming horse-drawn carriage known as the phaeton, which we will use on our circular tour of Büyükada, passing elegant mansions draped in brilliant purple bougainvillea. You will feel as though you have stepped back into a more leisured and gracious age, almost expecting grand 19th century ladies and gentlemen to come strolling down to the waterfront on an afternoon promenade. Lunch will be at one of the many excellent traditional fish-restaurants on the waterfront, gazing across the water at the Asian shore of Istanbul, so close though it feels worlds away. *On Mondays, when Hagia Sophia is closed, we visit the Chora Church, famed for its mosaics and frescoes. We begin with a brief visit to the 17th century Spice Bazaar one of Istanbul’s most colorful and bustling attractions. Next, we take an unforgettable cruise along the Bosphorus, the majestic strait that runs through Istanbul, linking Europe and Asia.From our cruise boat, we view the dramatic sights lining the Bosphorus’ wooded shores: mosques, a bridge that for a time was the world’s longest and the massive Rumeli Hisari , a fortress built by Fatih the Conqueror in just three months as he prepared to take Istanbul. 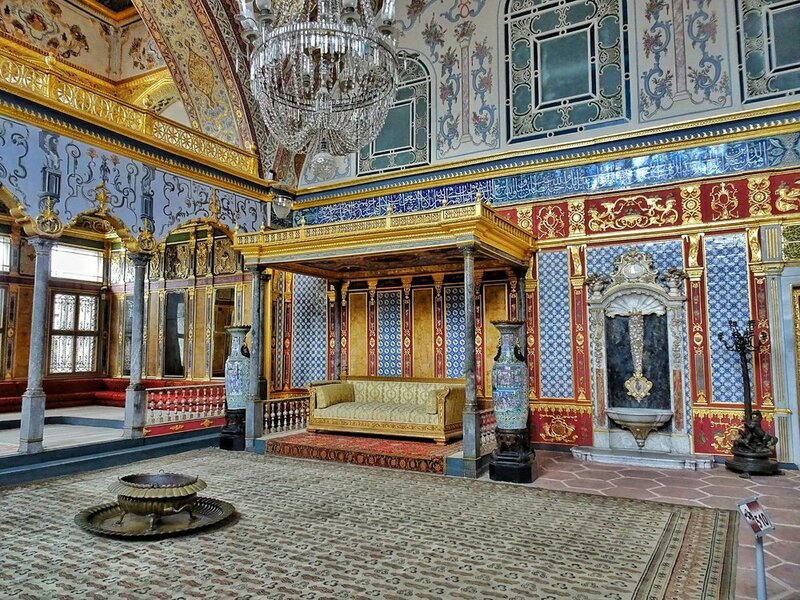 Also noteworthy are the 19th century mansions of the Ottoman elite and the Sultan’s fanciful gingerbread palaces and hunting lodges. Early departure for Troy, scene of Homer’s Illiad, the story of the Trojan War and the first great work of Western literature. Here Achilles, Hector and Agamemnon performed their heroic exploits in their attempts to recapture Helen, whose face launched 1,000 ships. Today, Troy is the subject for a major Hollywood film, starring Brad Pitt and Orlando Bloom. The site dates back to the very early Bronze Age (2500 BC) and was discovered by the German archaeologist Heinrich Schliemann in the late 19th century. The city was destroyed and rebuilt many times, with the result that the site consists of many layers, one city atop the other. To the layman, perhaps the most impressive feature is the massive ramparts. After visiting the site, we then drive to Canakkale and cross the Hellespont to explore the First World War battlefields of the Gallipoli peninsula. This was the scene of the world’s first modern amphibious landing, planned by Winston Churchill, and one of Turkey’s greatest military victories of modern times, but it was won at the cost of enormous losses on both sides, particularly among the heroic ANZAC troops. We travel by ferry to Yalova, then by luxury coach to Bursa, the first capital of the Ottoman Empire and one of the great treasure houses of Islamic architecture. We will visit the Green Mosque and the neighboring Green Mausoleum, both world-renowned for their superb tile decoration, as well as the late 14th century Great Mosque and the Koza Han, which for centuries was the center of the silk trade. After enjoying a cable car ride up the slopes of Mount Olympus ( Turkish Uludag ), we drive to the village of Cumalikizik. This is one of the best preserved Ottoman villages in Turkey with scores of picturesque houses built in the traditional style. Lunch is at one of Bursa’s finest Turkish restaurants, the Darüzziyafe, where we will enjoy the finest Ottoman cuisine in a historic setting where Sultan Murat the Second once dined. On our way to Cappadocia, we fly to Ankara or Kayseri and drive south to Uchisar in the midst of Cappadocian heartland, where we will be staying at one of Cappadocia’s unique boutique cave hotels. Cappadocia is a region unlike any other. Its extraordinary landscape is composed of soft volcanic stone that wind and rain have sculpted into fantastic clusters of multicolored spires and pinnacles. What is more, the softness of the stone encouraged the medieval Christian inhabitants of the region to carve out of the living rock literally hundreds of churches, monasteries towns and villages. 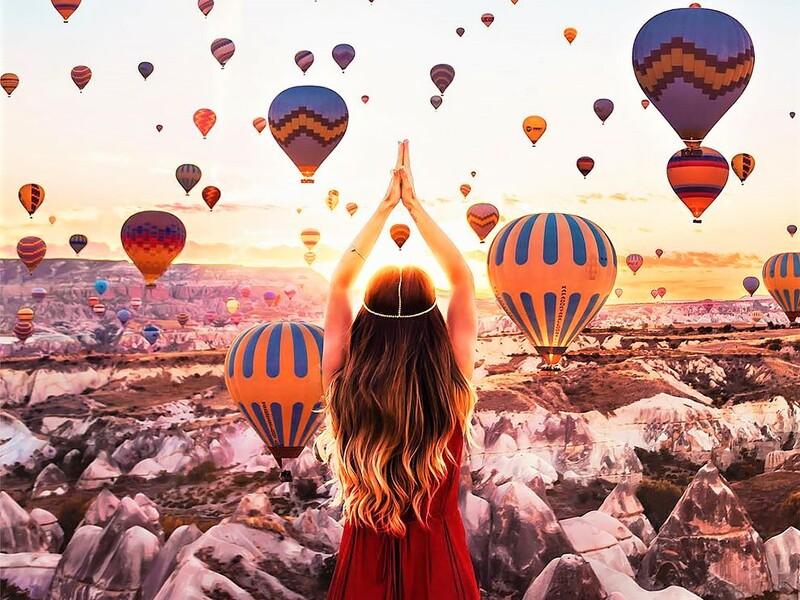 A trip to Cappadocia is a magical experience you will never forget. On our way to Uchisar we will stop off at the magnificent 13th century Selcuk Caravanserai known as Agzikarahan, at one of the region’s famous ‘ underground cities’. These go down many storeys into the earth and are among the marvels of medieval engineering. Once in Uchisar, we will visit the great rock-hewn citadel that looms over the town. On our second day we will visit the open-air museum of the Göreme Valley, which contains the region’s highest concentration of painted churches. The frescoes are among the masterpieces of Byzantine art. A short distance beyond Göreme lie the villages of Avcilar and Cavusin, both of which have many cave-dwellings, and the dramatic Zelve Valley. We catch an early flight to the city of İzmir on the Aegean coast, then drive south to the antique city of Ephesus. This is one of the world’s richest and most rewarding archaeological sites with impressive ruins dating from the Classical Greek, Hellenistic, Roman and early Byzantine period. It is also closely associated with the beginnings of the Christian faith. In addition to being the city to which the Letters to the Ephesians were written, St. John and St. Paul both visited the city and the Virgin Mary herself is said to have spent her last days nearby. Among the highlights of our tour of Ephesus will be the antique theatre, the famed Library of Celcius, the brothel, the vast Basilica of St. John, the Mosque of İsabey, the Temple of Artemis ( one of the Seven Wonders of Ancient World ) and a group of recently excavated early Byzantine mansions that feature incredibly well-preserved floor mosaics and frescoes. At Ephesus, the past comes to life in a pageantry of architectural and artistic marvels the like of which can be found almost nowhere else in the world. Finally we will make a short pilgrimage to the House of the Virgin Mary, which stands high on a mountainside overlooking the Aegean Sea the Greek island of Samos.